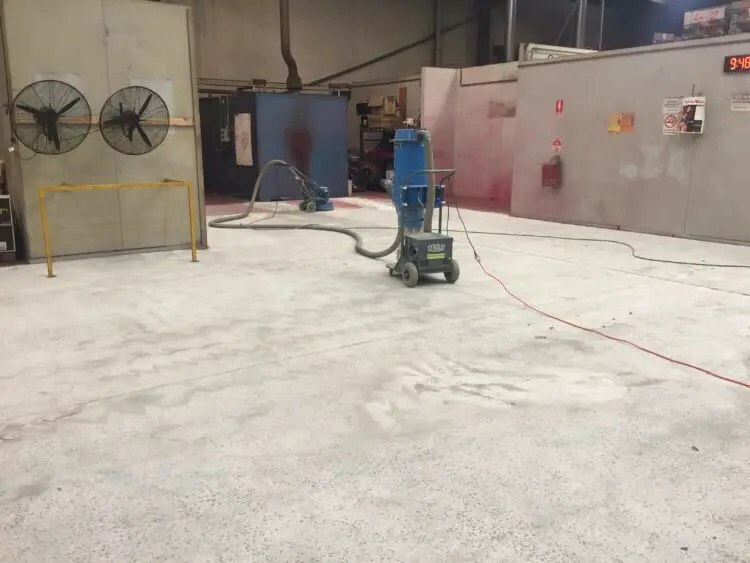 This factory floor was in an automotive manufacturing plant in Keysborough Melbourne. 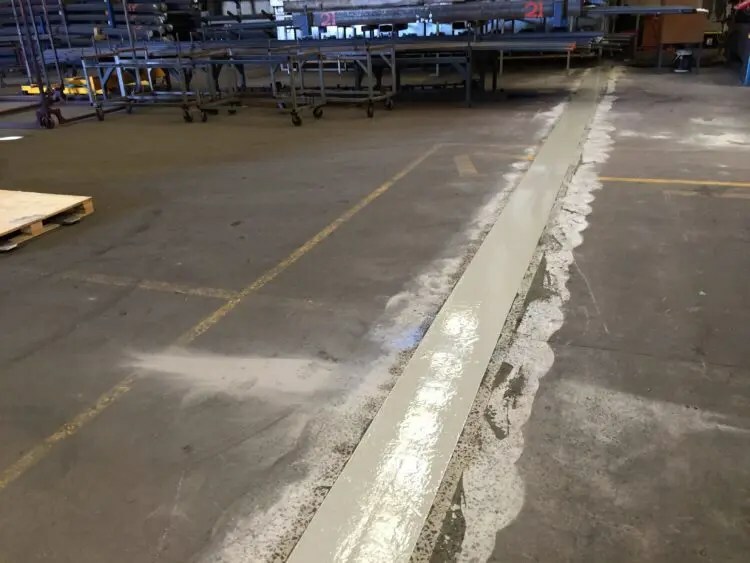 The floor was damaged and worn out. 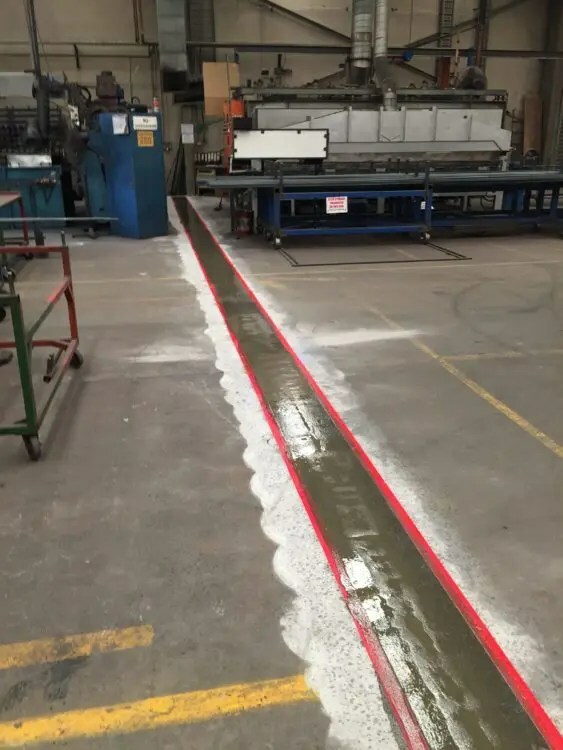 There were large powder coating ovens that trolleys needed to be pushed in and out of. 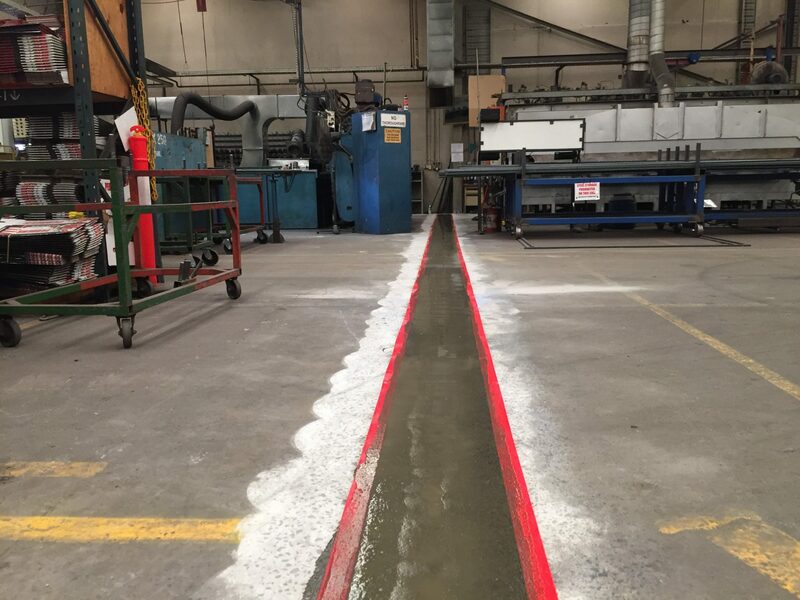 Due to the concrete being worn out the trolleys needed a smooth surface to roll on. 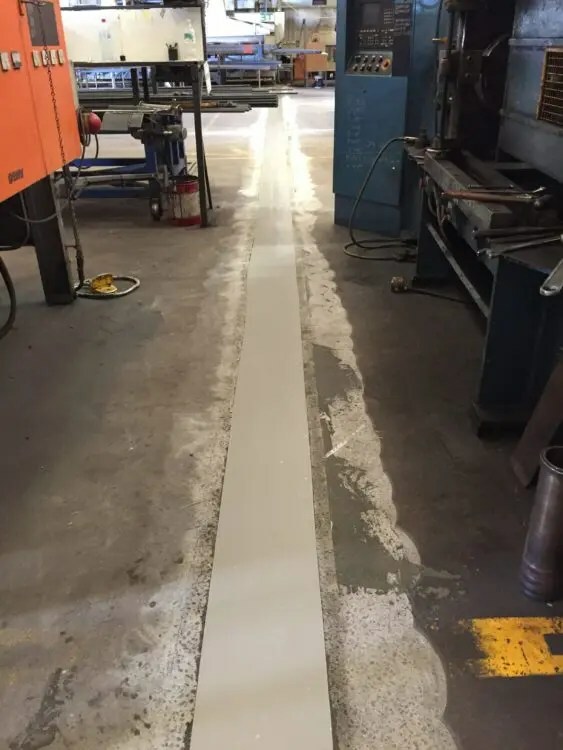 There were 2 parts of this project. 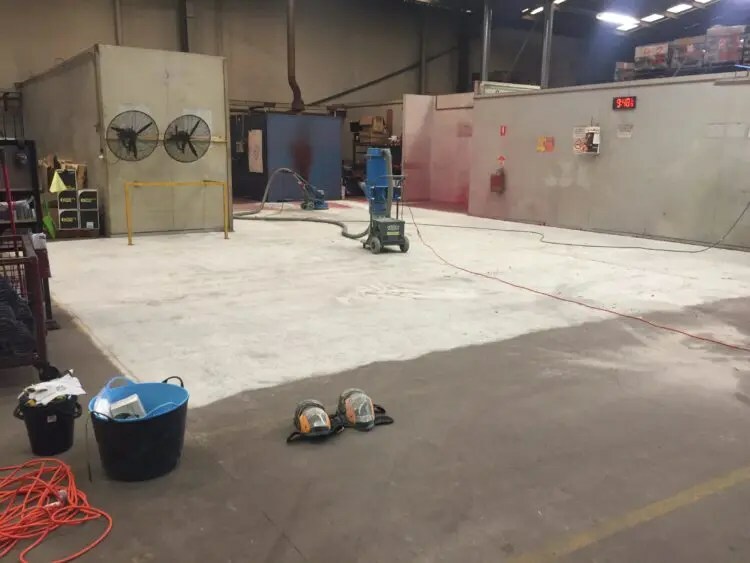 The first part was to grind and coat the floor area outside the ovens. 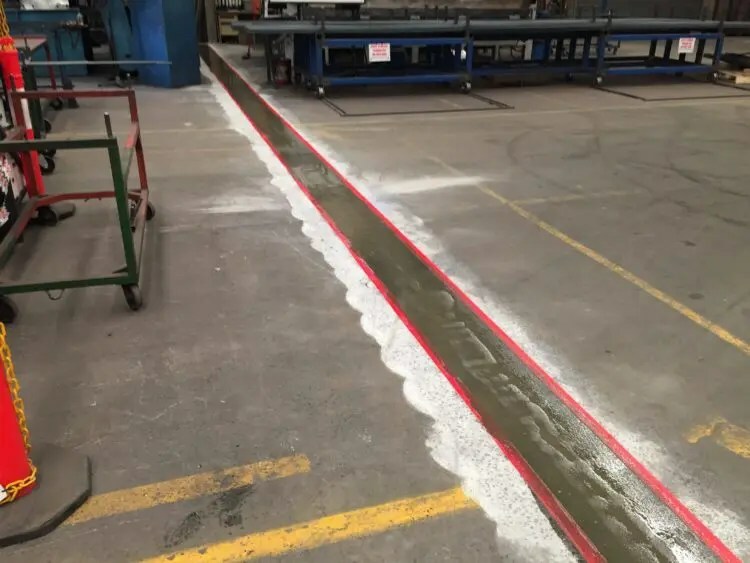 And the second part was to make a smooth even surface between 2 concrete slabs so large trolleys was move through the factory without the trolley shaking. 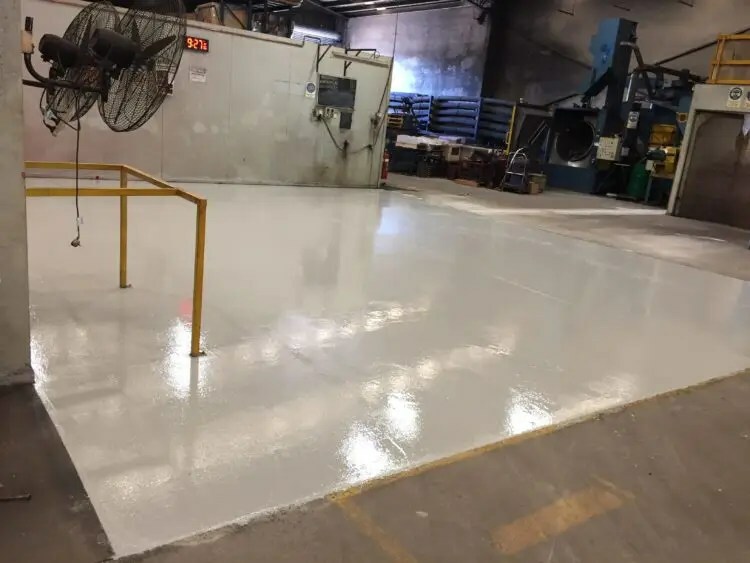 First we grinded the floor area to create a smooth consistent surface for the epoxy coating to stick to. Some areas were quite bumpy and required prolonged grinding was required. 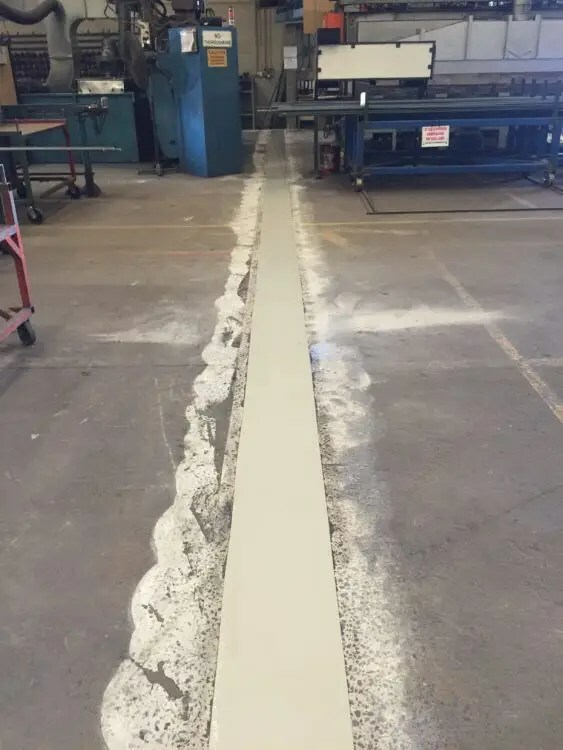 Once the surface was grinded smooth. 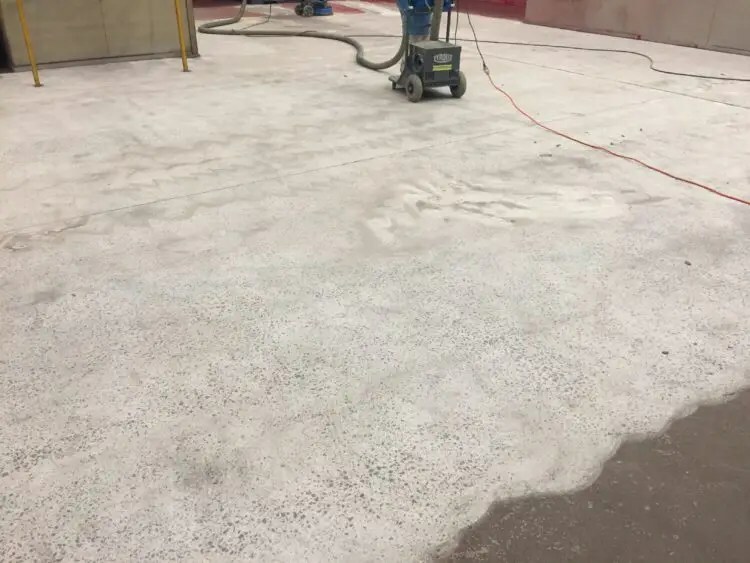 We applied an epoxy grout over the floor area with a trowel. 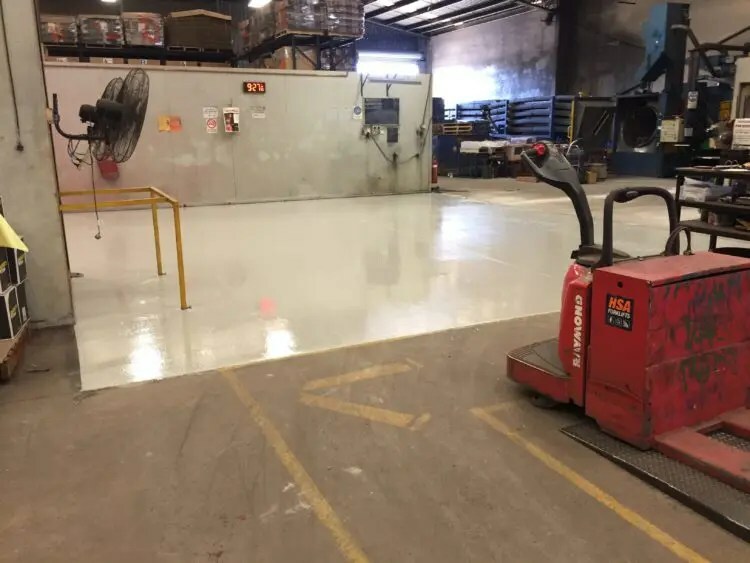 Once it was dry we applied another epoxy coating with large rollers. 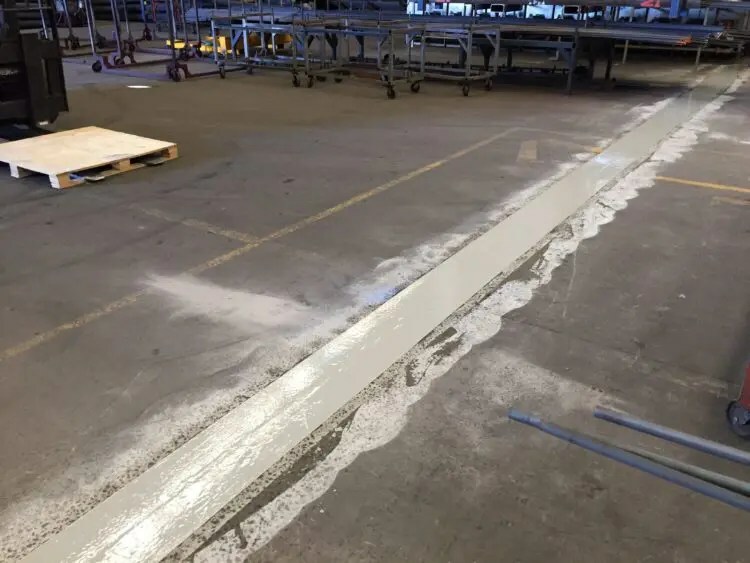 We grinded the joint between both concrete slabs and filled the crack with a polyurethane grout. 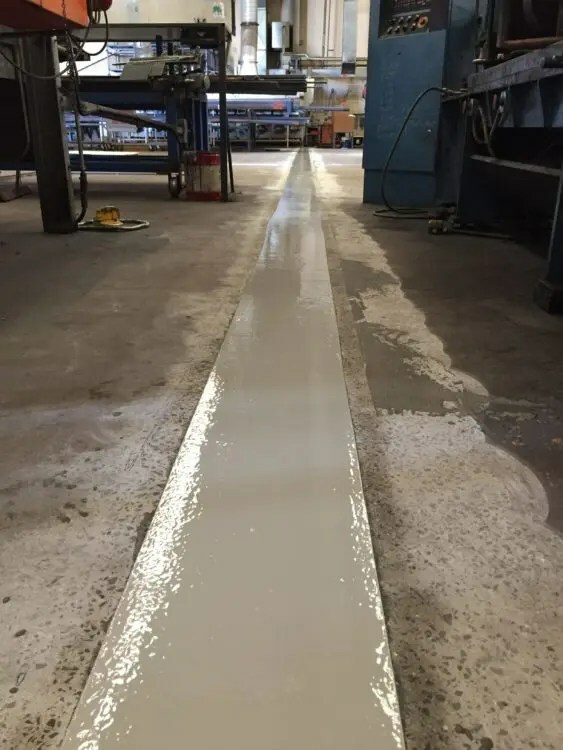 The polyureathane grout is more flexible than an epoxy grout so when the concrete slabs expand and contract due to temperature the grout will not crack. 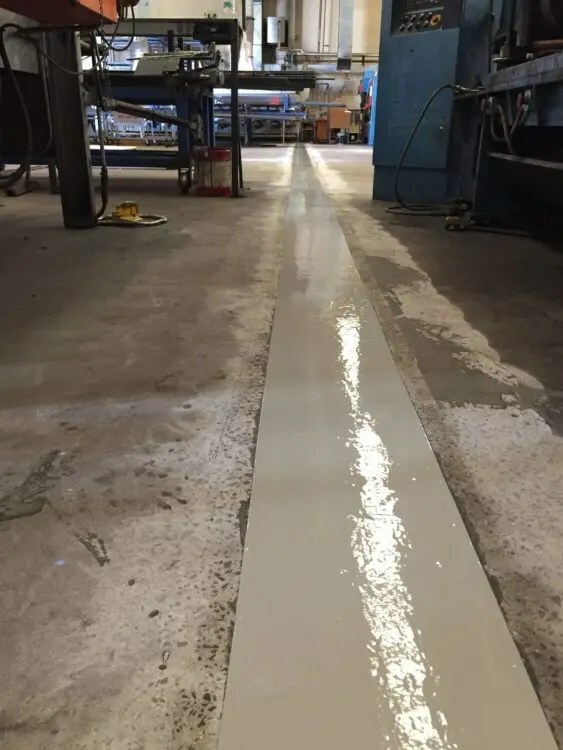 We applied a thick epoxy coating over the joint with a non-slip addittive to prevent falls. 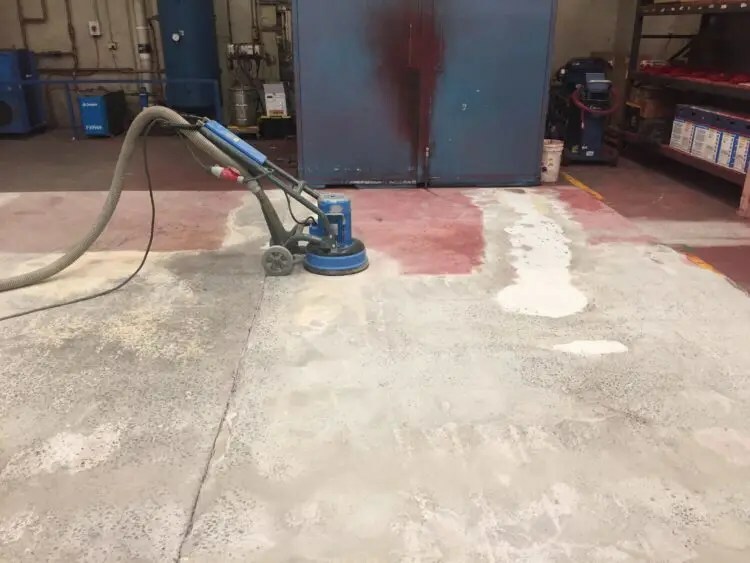 We grind concrete floors, repair damaged concrete floors and apply coatings to concrete floors. 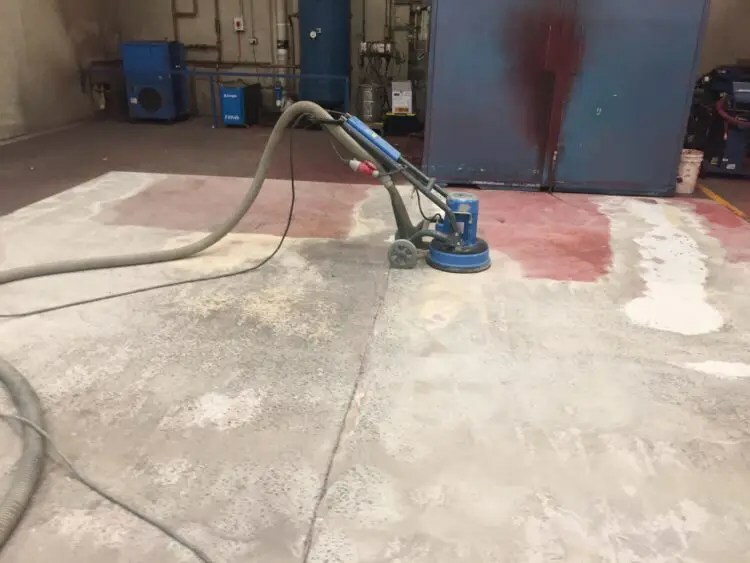 We can demolish existing concrete floor coverings and remove adhesives. 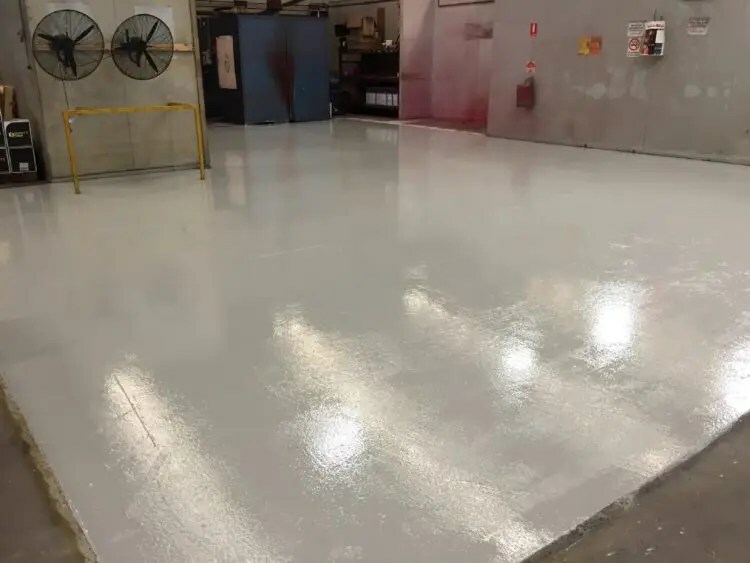 We can also diamond grind your concrete floor and apply an epoxy coating. Our goal as a business is to automate our application process to keep prices competitive for our customers. 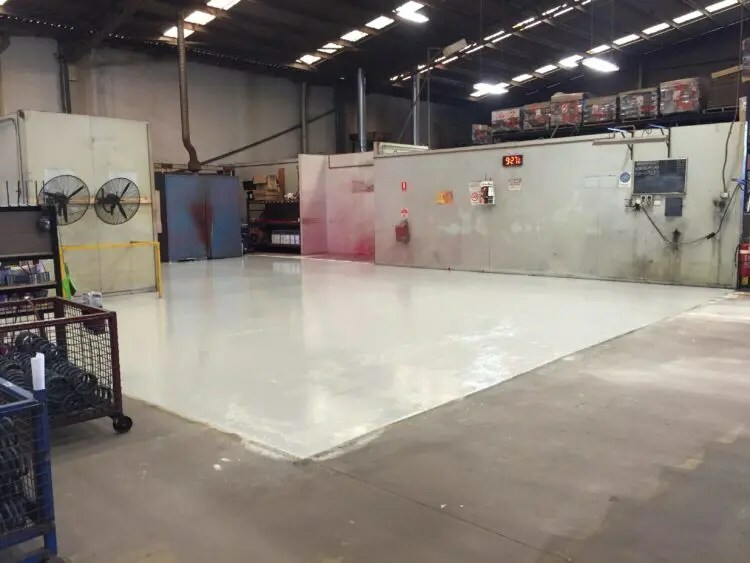 We use the best and latest equipment to produce consistent and high quality concrete floor surfaces. 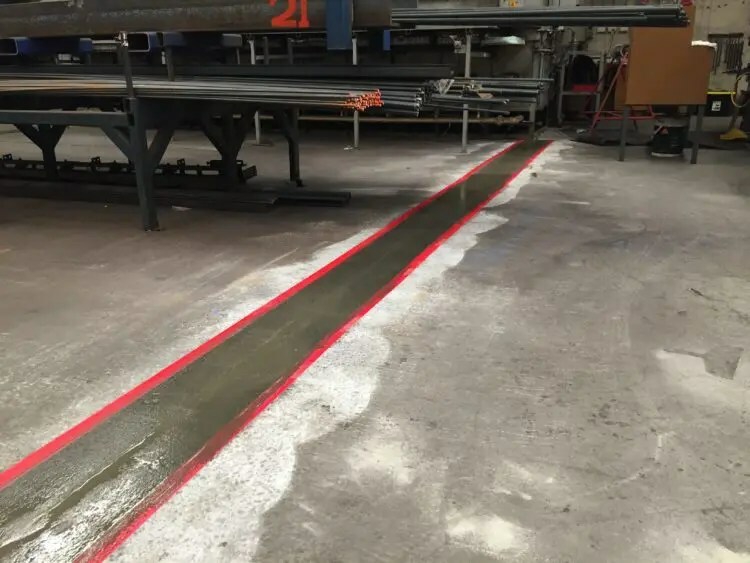 Our mission is to continually improve our preparation and application process through automation and training. 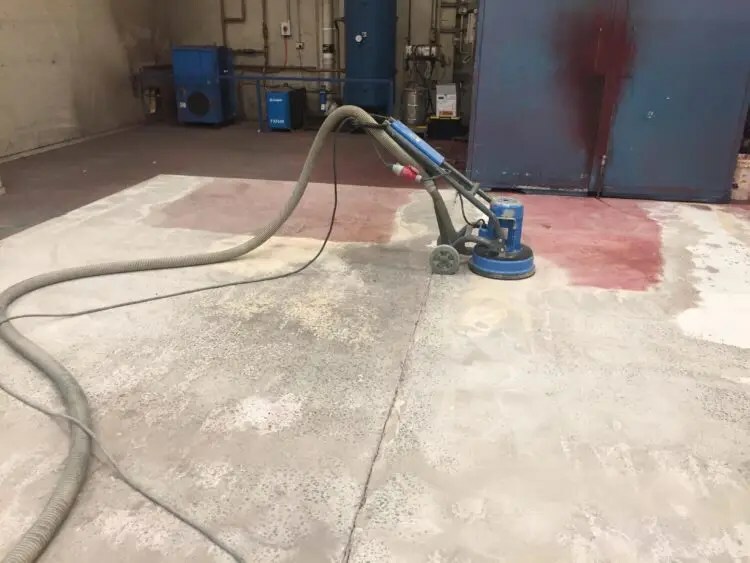 Concrete Surface Coatings Copyright © 2019.